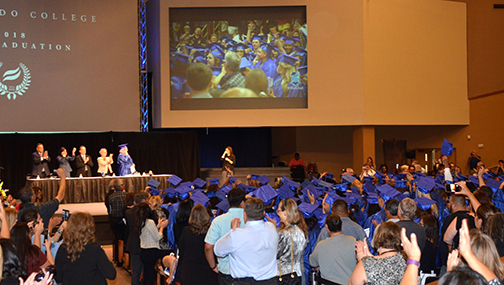 The 2018 High School Equivalency (HSE) Graduation ceremony was a memorable event, especially the speech by Student Speaker Maida Dugalic! More than 200 students attended the May 17 ceremony. These students joined nearly 20,000 adult basic education students who have taken classes at Rio Salado over the past 40 years and earned their HSE credential. Among the other highlights was Dr. Bustamante’s recognition of Associate Dean of Instruction and Community Development Blair Liddicoat, who presented Liddicoat with the President’s Leadership Award for his 28 years of service to adult basic education. 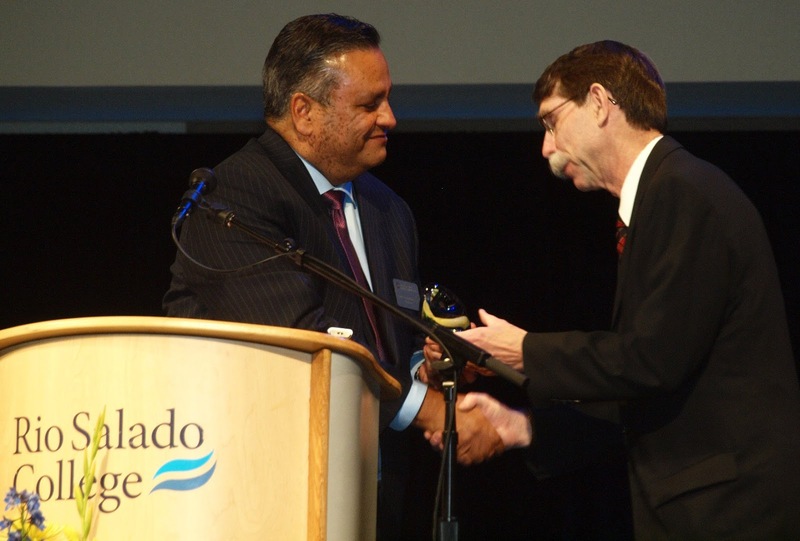 Dr. Bustamante also presented the President’s Partner Award to the Arizona Department of Education to commemorate 40 years of partnering to provide adult basic education. The award was received by Superintendent of Public Instruction Diane Douglas. 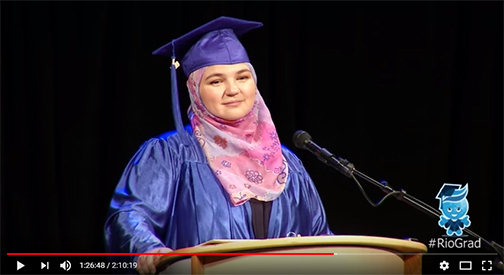 Thanks to Maricopa Community Colleges Television, you can watch the graduation ceremony-- and hear student speaker Maida Dugalic's extraordinary speech! Learn more about Dugalic in this RioNews story. Check out our Facebook event photos now. Share your Rio HSE grad story using #RioGrad and #GEDGradDay.